bed, trying to dress up. and used her over again to his satisfaction. clothes on the bed and made for the bathroom. hurriedly in order to satisfy her curiosity. password to unlock his phone and she turned the locks. think of closing her mouth. chief was still asleep, then tip-toed out of the bathroom. with plans to elope on her head. visit one herself, she thought. deadline and she was feeling perfectly at ease. she dropped the phone with a smile. 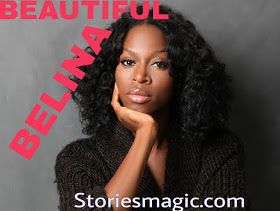 0 Response to "STORY:BEAUTIFUL BELINA (Season 2, Episode 35)"